Yesterday we have set on the Ali mountain where we had quite a cross wind already early and it was getting stronger. In the distance it was possible to see a nice wave cloud coming in which was calling for troubles. 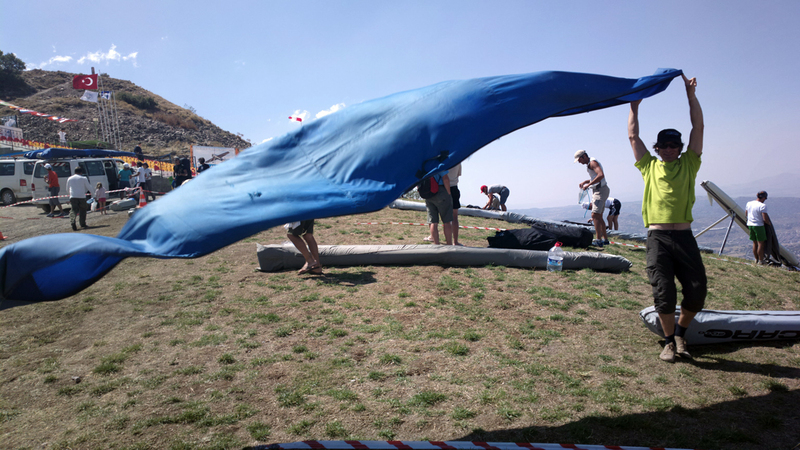 I was second to start derigging and when I finished it must have started to blow in gusts up to 60 km/h. Task was cancelled of course. We had rain in the afternoon and today we have a clear sky with very clean far view and a bit of wind. Temperatures went quite down but they say it should be a good day. I am screaming for another off day as I got a nice pain in my back due to all the open windows but I in case of task I will have to squeeze my teeth and fly the task.